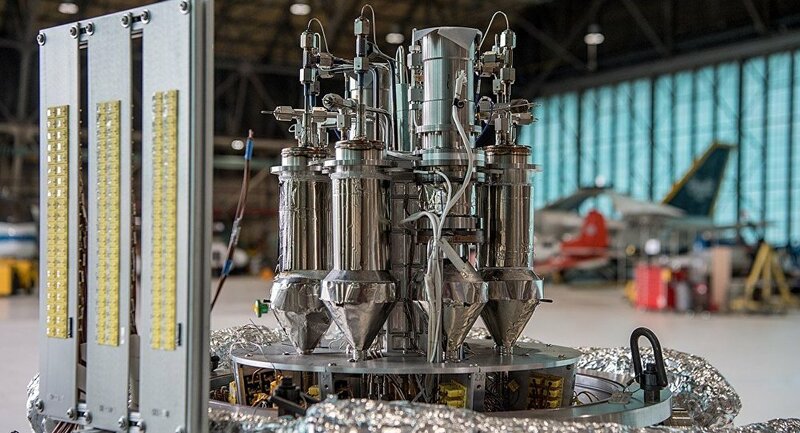 NASA and the Los Alamos National laboratory have successfully tested a prototype power system called "Kilopower," designed for lunar and Mars manned missions. The revolutionary space fission power system could provide up to 10 kilowatts of electrical power, which would be enough to operate several average households constantly for at least ten years. Four Kilopower units would provide enough power to establish an outpost. The biggest advantage of this power system is that it can provide abundant energy anywhere humans need. On Mars the dust storms can last for months and therefore the power able to be provided by the sun varies. On the Moon, nights last for 14 days. “We want a power source that can handle extreme environments,” Lee Mason, NASA’s principal technologist for power and energy storage said. “Kilopower opens up the full surface of Mars, including the northern latitudes where water may reside. On the Moon, Kilopower could be deployed to help search for resources in permanently shadowed craters,” Mason said. Kilopower uses uranium-235 for fuel, in addition to the reactor itself; the unit includes a Stirling engine and an alternator. The publication Spaceflight News wrote, that the power system is quite compact (the core of the reactor is comparable to a paper towel roll) and light enough, which is important when transporting it to other planets. Earlier, NASA’s Deputy Head of Manned Programs, William Gerstenmaier, confirmed on April 20 that the US is designing a Lunar Orbital Platform (LOP) — Gateway, a near-moon orbital station. According to Gerstenmaier, a crew of four astronauts will begin to work on LOP in 2025. With the help of the LOP, the agency plans to study various aspects of landing a person on the moon and also to understand whether it is possible to use the station as an intermediate base for Martian missions. For the LOP-Gateway program, the Orion ship, created by Lockheed Martin, will be used.